Nowadays, you won’t find out a single person who has no smartphone in their hand. A browser can open new doors of knowledge to you. Everyone has some different choice. Some want faster one to operate or some want to consume little data on surfing the net. If you are seeking best browser for Android, we have shortlisted some wonderful collection for you to access on the web with good experience. They are available in Google play store. You won’t have to use a dozen of apps when you find the right one installed on your device. In this article, we are going to discuss it in details with more features. If you visit the Google play store, you will discover millions of downloads of it. 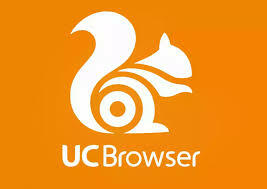 UC is the best and powerful download manager because of having most features included on it. It has faster mode for browsing any thing easily and it enables the sites and pages to be stored in memory. There are lots of add on, themes and backgrounds you can have from it. It is expert in data compression due to have text modes. It is totally free and you can access to bookmarks and tabs easily using similar account of social networking site. This is another popular web browser having 4.4- star rating on the Google play store.it has been features with three excellent app layouts such as phone, classing and tabs. It is very easy to use. It won’t consume a lot of data. It defines faster speed without making you wait for long while you intend to surf on the net. This web manager offers flash, speed in downloading, bookmarks, easy private and tab navigation to you. It also includes some extra great features along with most useful data saving mode. It has capacity of managing ample of tabs at the same time without making any crash. This is another popular down loader with a rating of 4.3 star rating on the play store. It includes a highly beneficial addition of Java script engine written in C++ that enables one to load any web pages, music’s, images faster than ever. It is an outstanding product of tech giant. Plenty of excellent features such as built-in Flash, HTML, Data saver option, sync all history, Private mode etc. are included here for your convenience. It supports too many gestures is capable of syncing history/bookmarks easily on your device. you can download in free from here easily. Firefox provides you some amazing features as like as chrome. It will sync up the data, bookmarks, passwords etc. This powerful browser performs across the devices even in your desktop too. It will support you to flash that are being installed on the device. It can integrate all of the things from desktop. If you are a user of it, it’s a great choice for you. If you collect some themes for desktops, that will also work nicely here. It performs brilliantly with plenty of customization options. It has an excellent reader mode that allows displaying articles clearly. Apus is enough to meet up your requirements of everyday. 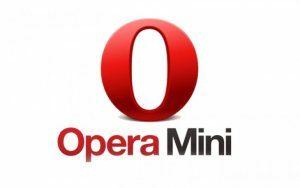 It is a powerful download manager and delivers a great browsing experience to the users even in lower internet connection. It allows you to visit websites without typing any URL on it with its excellent shortcut functions. There are some useful features like Speed mode, privacy sites, Fullscreen, Night mode etc. in it. You can render the webpages faster with the speed mode mechanism. Privacy sites help you to preserve your chosen websites for private access. Moreover, it is HTML5 supported too. It is also reputed for tab browsing. This is one of the excellent choices for android phones. It has some unique features that make it stand out before ample of web browsers available on the play store.Incognito, Flash and other useful features are greatly supported with it. You can roam on the internet with comfortably with it. There are some other facilities such as Magic fill images off; Ad block plus, News bites, etc. are available here with a smart presence. If you are getting bored with other optionsin any way, you can choose it to use randomly. It offers you faster browsing with plenty of sync options. Hopefully, you will like it. Dolphin is another popular android application where you will find plenty of features for instant access. There are some regular functions like built-in flash player and pop-up blocker. They are helpful to browse smoothly. With Sonar, you can make the best use of the voice search. Gesture support is an advanced feature available here for the massive power users. It provides you facility in syncing bookmarks. You can customize a wide range of themes in this download manager. Flyperlink is suitable for multiple tasks. It allows a user to open links easily and minimize the windows whenever he/she wants. It supports chrome tabs also. It offers you a great solution when you want to change the place between web pages and other applications. Puffin is undoubtedly a smart app for your android with 4.2 star rating in Google play store. It provides you faster browsing with the advanced flash version here. You can fetch the data quickly in poor connections with the latest Java script engine it provides to you. Again, you can save your download files easily to the drop box using this download manager. It has some outstanding functions such as multi-device sync and GIF support. 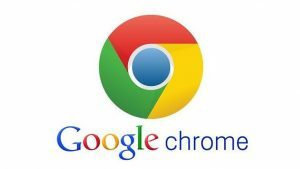 By now, you have read about all options we mentioned here to let you know about the best browser for android. It’s completely up to you to decide which one to choose and use randomly. Here all these are very good in terms of their service and wonderful features.We hope you will have a great experience in operation your android phones with the best one.